Green Baby Bargains: Sittin' Smart Natural Seat Covers by Innobaby - 67% off! Sittin' Smart Natural Seat Covers by Innobaby - 67% off! Only $9.99! 67% off! Start shopping HERE! 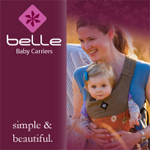 Perfect for keeping strollers and high chairs free from stains! 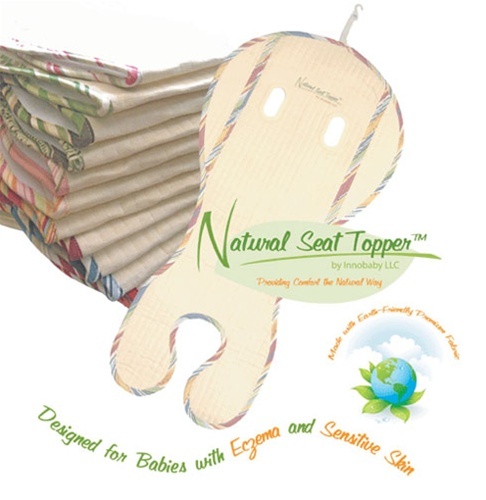 Designed for babies with eczema and sensitive skin, Natural Seat Topper features an earth-friendly fabric, ramie, which is a premium natural fiber known for its absorbency, breathability, and durability. Natural Seat Topper's patented design offers improved ventilation in addition to the natural benefits of ramie fabric. This combination helps reduce the chance of overheating and relieves the discomfort from perspiration. Additionally, ramie fabric naturally offers resistance to bacteria and stains. Top Fabric: 100% Ramie, exclusive of trimming. Hand wash or machine wash in gentle cycle. Line dry. -Made from the earth-friendly fabric, ramie, which is a premium natural fiber known for its absorbency, breathability, and durability.